Oh, those Joneses, with their ubiquitous surname and their tendency to disperse all over the damn place. 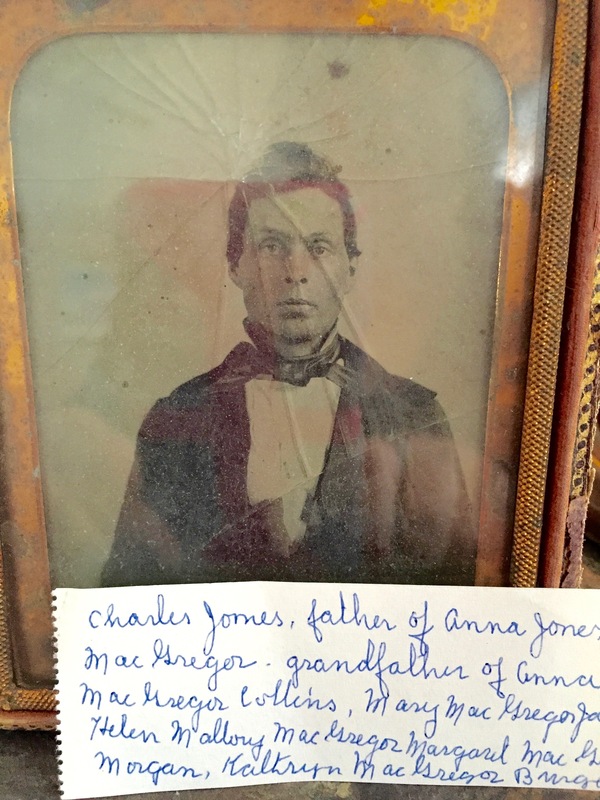 I’m trying to find out more about Anna Jones’s father Charles Jones (my 3rd great-grandfather) and his sprawl of siblings with whom he exchanged letters in the 1850s and 1860s. I have about a dozen of these letters (saved by Charles’s granddaughter, good old Anna Collins), and at the moment they are the strongest evidence I have that these Joneses ever existed. 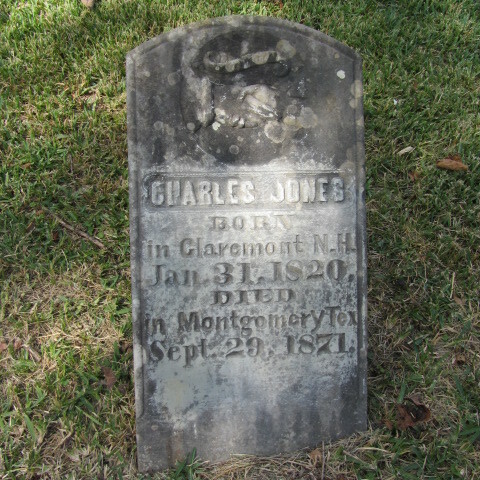 Charles Jones, father of Anna Jones, grandfather of Mary and the other MacGregor sisters, and great-grandfather to my grandpa Mac (Got it?). 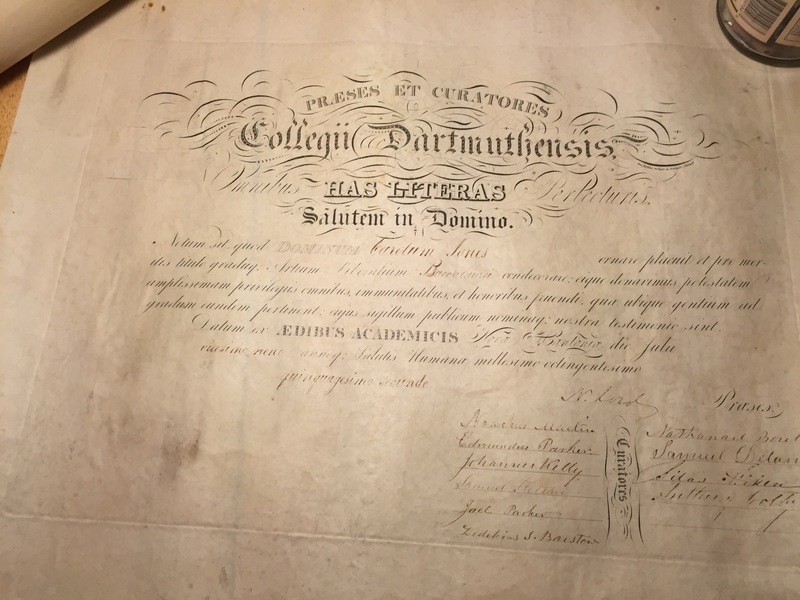 Once I figured out that he graduated in 1852 (the internet is nothing if not a giant decoder ring for old documents in Latin! ), a couple of Dartmouth alumni directories found in Google Books turned up short bios of Charles that matched the headstone as well as other scraps of family info I have. And then everything corroborated with the census information for his family. 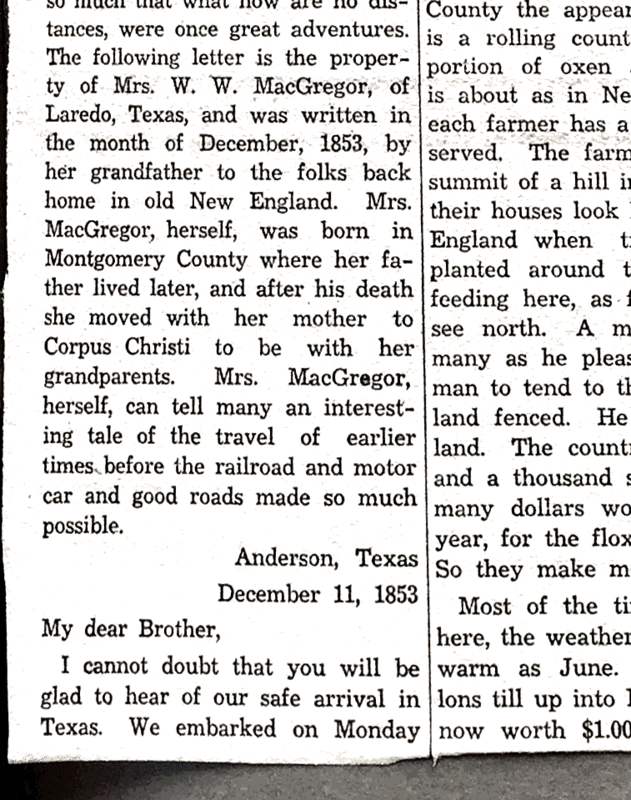 In 1870, his wife and three daughters were living in Montgomery, Texas, with Charles, a lawyer, listed as head of household, but he’s not in the 1880 census—by then his widow and the girls were living in Corpus Christi. I don’t think he fought in the Civil War: he would have been in his 40s then, and there’s no indication from his grave that he was a veteran, but who knows. (Looking up Civil War stuff is still overwhelming, with no Sam-Waterston-narrating-Ken-Burns-documentary voice to talk me through it.) 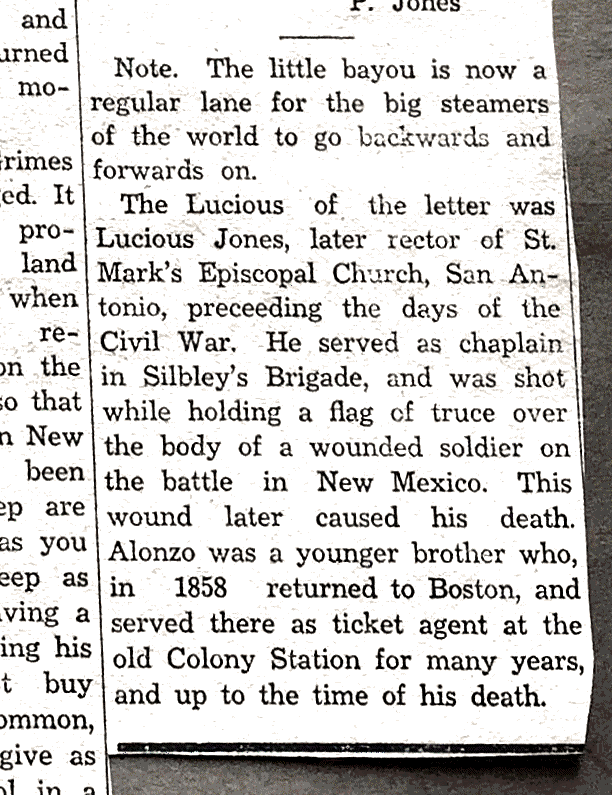 But apparently at least one of his brothers fought on the Confederate side. So that is seven Joneses. Kind of a lot of Joneses! And from what I’ve glanced so far in the online research, quite a range of ages. Are they really all from the same parents? I haven’t found a family tree on Ancestry or elsewhere that lists more than two of them together, though going this far back it’s probably easy to lose track of ancestor siblings who didn’t have descendants of their own. 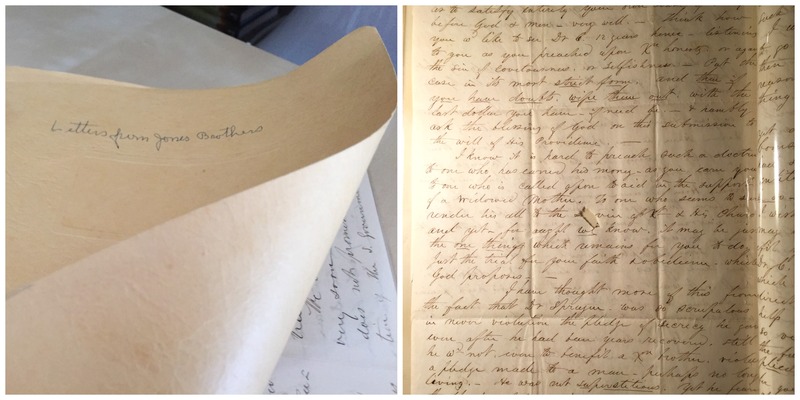 But I also have letters from some of the siblings, and I’m hoping that in transcribing them (oh, the 19th-century handwriting) I can find details to link them to online records, and find evidence of their relationships to one another. I’m hoping as well that somewhere in the few boxes left back in Albuquerque, Anna Collins drew up or found a Jones family tree while doing her DAR genealogy, but until I can get the hell back there in November, I’ll plug away on going the letters, in all their spidery-script glory, and will periodically post a transcription for us to pore over obsessively.